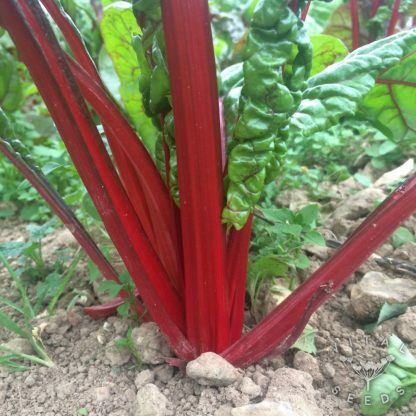 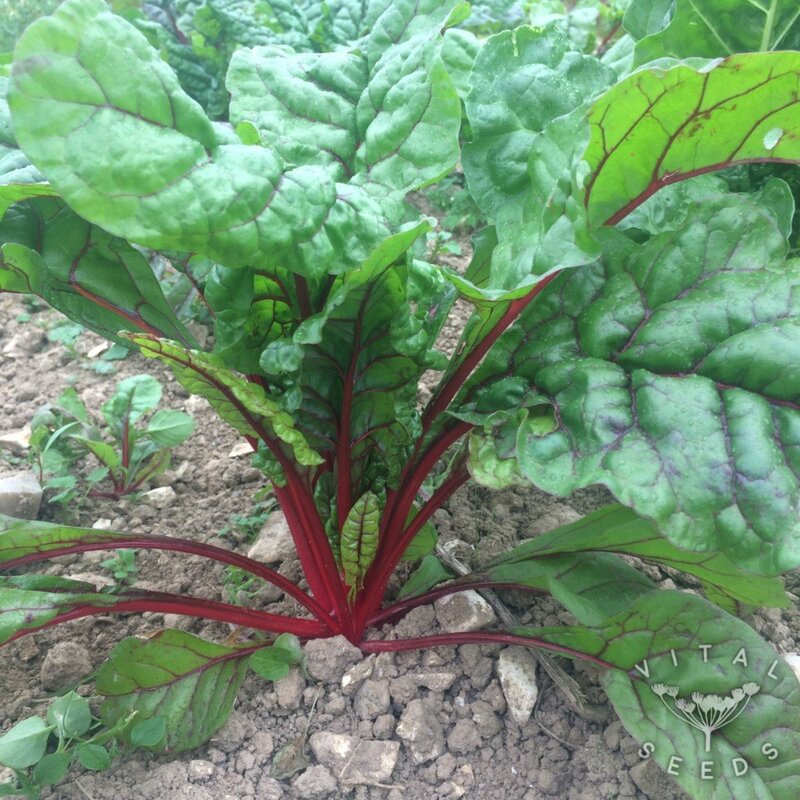 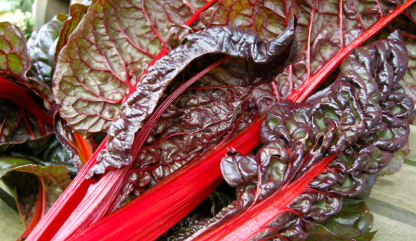 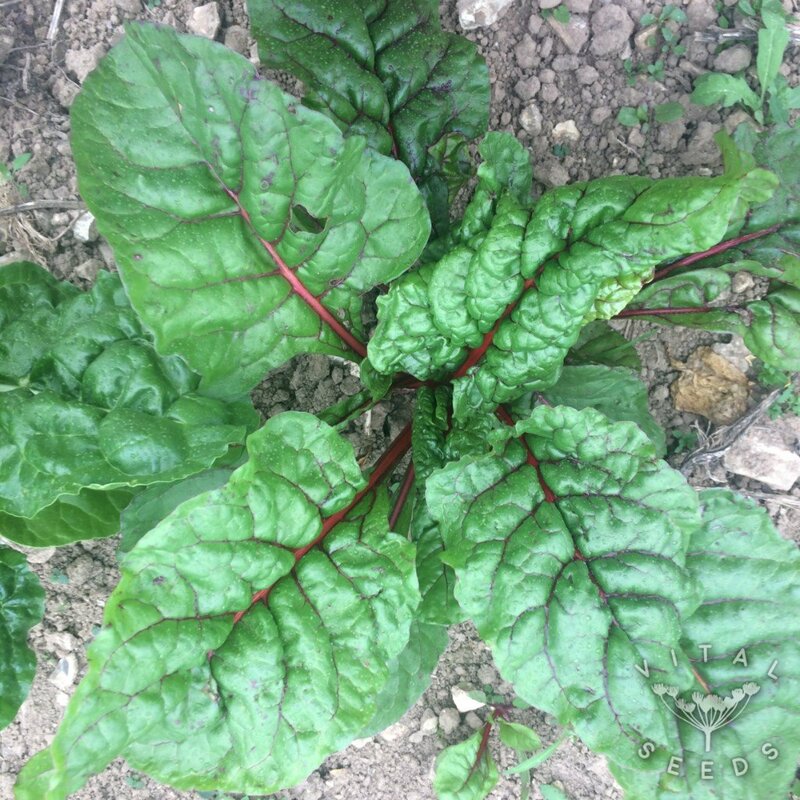 A very striking variety of chard with dark green leaves and bright red stalks. This ornamental looking chard is worth just growing for its beauty! And it can be used like any other chard or spinach.